NON-PROGRAMMABLE THERMOSTATS AND PROGRAMMABLE THERMOSTATS- WHAT IS THE DIFFERENCE? According to Bryant®, a thermostat is a “unit that monitors and controls your HVAC system products”. 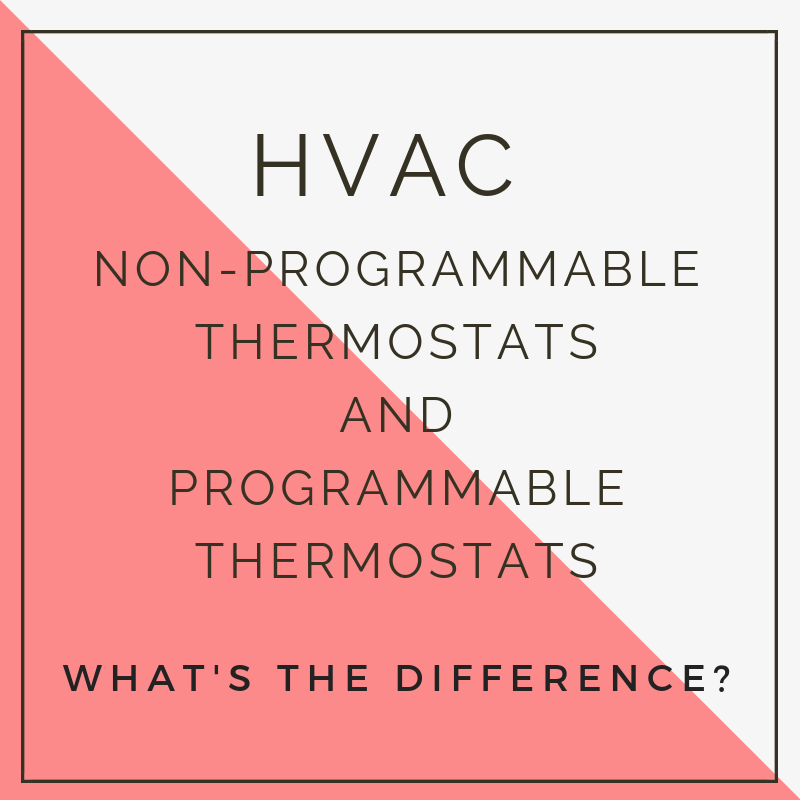 There are several different types of thermostats currently available on the market, but the two that we chose to focus on for November’s “What’s the Difference” are Non-Programmable Thermostats and Programmable Thermostats. Non-programmable thermostats, also known as analog thermostats, are thermostats that are controlled manually. They have basic features and only have the ability to be set at one desired temperature at a time. Typically non-programmable thermostats are less expensive to purchase and install, but are more expensive overtime as they are not as energy efficient as other types of thermostats and result in higher energy bills each month. Lastly, non-programmable thermostats are not as precise in regards to temperature accuracy. Programmable thermostats are thermostats that can be programmed at various desired temperature points to regulate household temperatures throughout various times of the day and different days of the week. They have more advanced, customizable features than non-programmable thermostats. Typically, programmable thermostats are more expensive to purchase and install, but are more cost effective in the long run as they are more energy efficient. There are four pre-programmed settings (Wake, Day, Evening and Sleep) and three types of models (7-Day Model, 5+2-Day Model and 5-1-1-Day Model) for programmable thermostats.